Evidence, files, weapons, gear, supplies, uniforms—think about how many times you store something that pertains to these on a daily basis at a police department. And, at the same time, think about the space where you store these important items. Chances are, they’re lacking. Whether you’re in the planning stages of a new police department or public safety building or simply looking to create more space in your current facility, we can help. 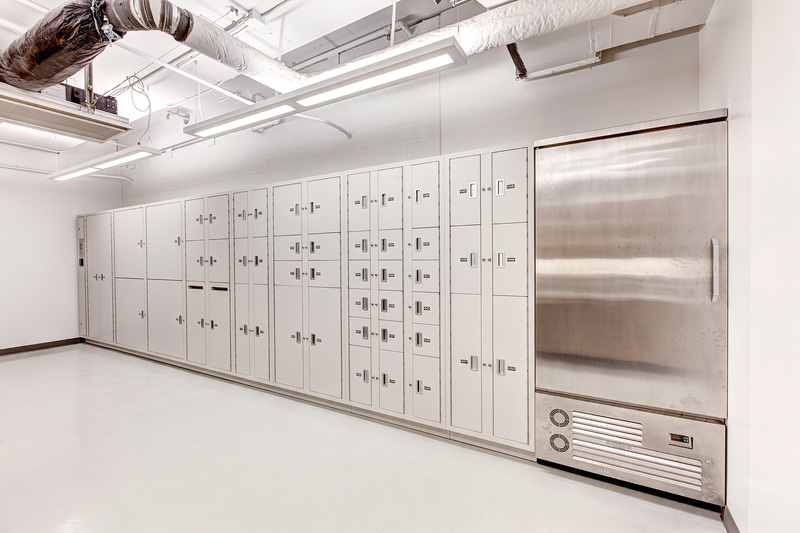 In designing a comprehensive police department and public safety storage solution for Salt Lake City’s new Public Safety Building, our goal was the same as architect and planning team—to make sure all the storage spaces were built inside the facility. Downtown Salt Lake City has an extremely high cost per square foot, and there was no way the department was going to have a brand-new building with a storage warehouse attached. How did we help Salt Lake City achieve their goals? Read on to find out. Daily efficiency gains. Cost reductions. PR nightmare avoidance. Hard to believe that a short-term evidence locker can create these things, but it’s true. 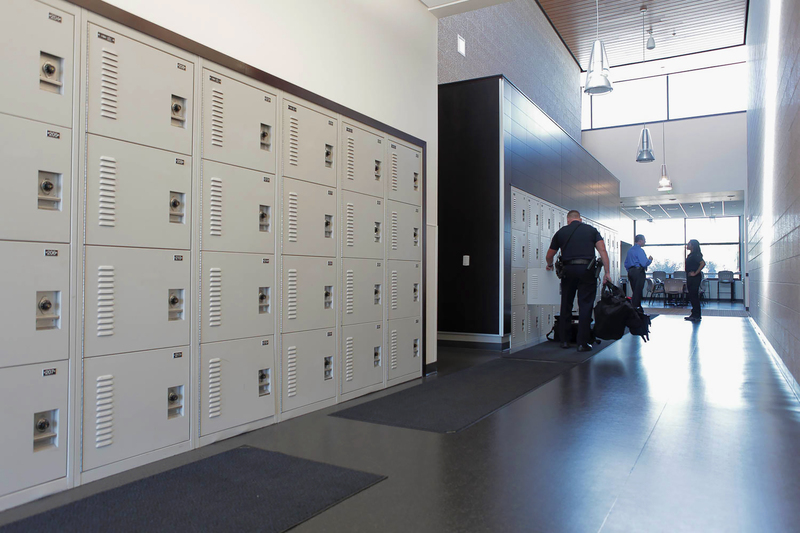 Spacesaver’s evidence lockers serve as a secure, unattended evidence drop-off system—allowing officers to securely deposit short-term evidence day or night, without having to deal with keys or combinations or rely on an evidence technician. Spacesaver’s evidence lockers are built around two distinct evidence processes—pass-thru and non-pass-thru. 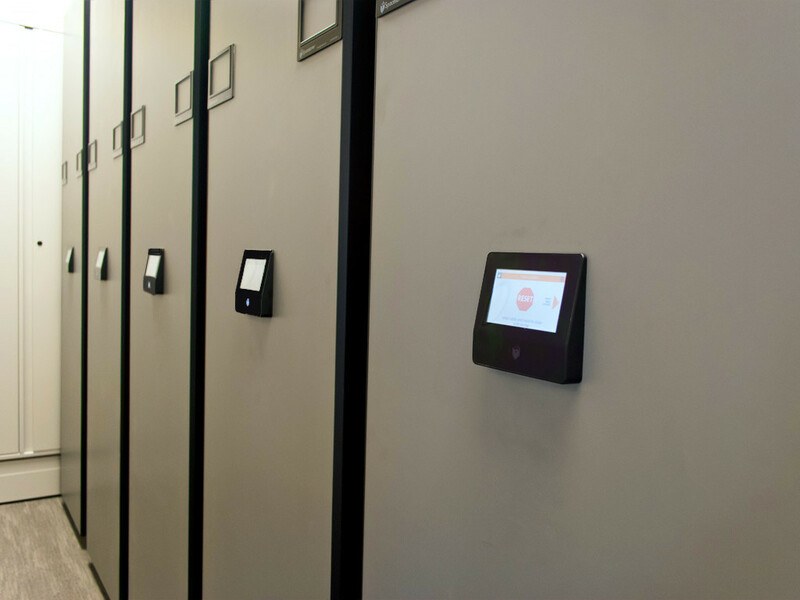 Salt Lake City’s department utilize non-pass-thru evidence lockers in various sizes, meaning that evidence is deposited and retrieved from the same self-closing doors, and can only removed by authorized personnel. 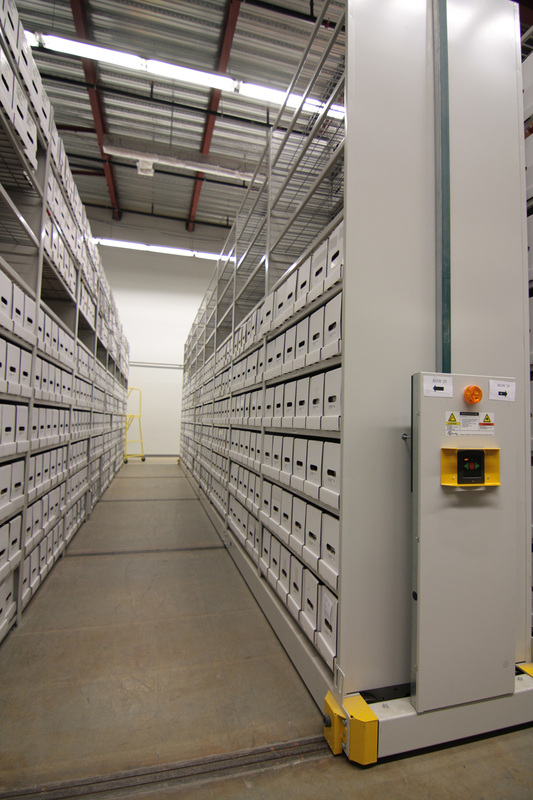 In addition to the lockers, a large refrigerated evidence deposit is built into the locker bank for the short-term storage of biological evidence. Once the evidence is “bagged and tagged”, it needs a long-term place to live—and there’s never enough room, due to the statute of limitations for certain pieces and types of evidence. And, even though only about 1% of collected evidence ever makes it to court, property and evidence room managers are hesitant to purge items—leading to disorganization, lost evidence, and wasted time finding items. 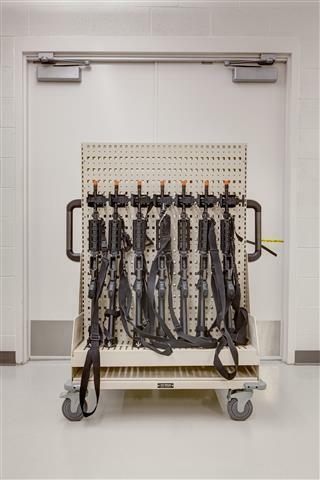 Standard mobile shelving features movable carriages that eliminate aisles, compacting the same number of evidence items to a space half the size. If you’re planning to relocate or reconfigure your evidence room at any point, our low-profile options can be moved and reconfigured to another portion of a room or an entirely new building, thanks to a modular system that eliminates the need for a traditional anchored rail in the floor. 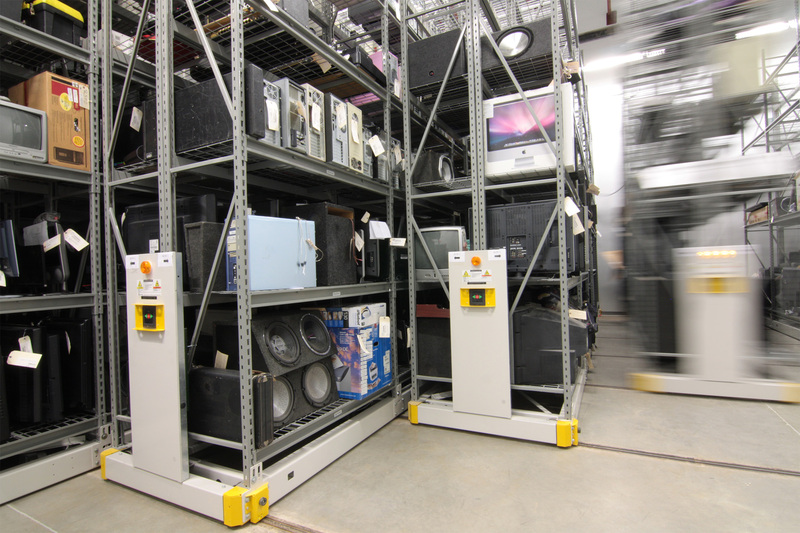 For larger inventories of evidence at off-site facilities or large warehouses, our ActivRAC heavy-duty mobile racking solution or off-site shelving such as static or mobile XTend High-Bay Archival Shelving can help organize evidence and cut down on increased levels of evidence room staffing. Lockers are more than just a place to put uniforms and personal items—they’re a second home. 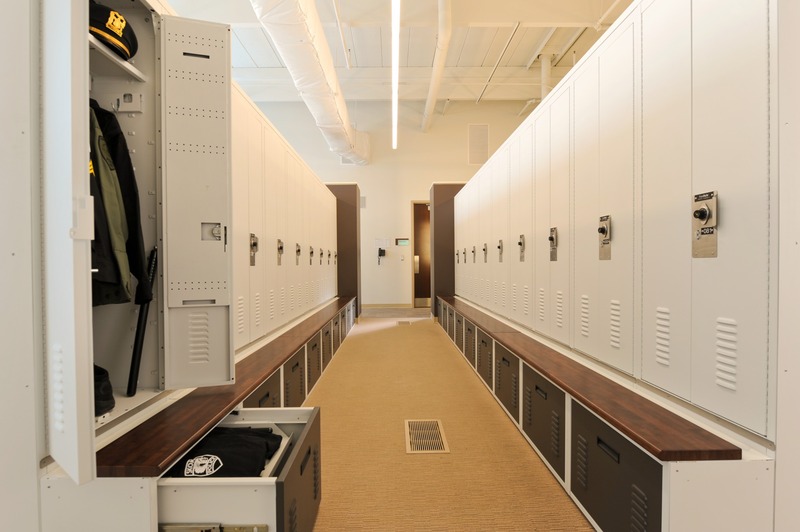 Officers and personnel need a clean, organized, and convenient way to store personal gear, and at Salt Lake City, this was achieved through banks of configurable officer storage lockers, installed in their Fitness Center. The lockers in the Fitness Center are especially unique, as they aren’t located in a locker room—they’re right in the middle of the center. For that reason, a locker ventilation system was created to make sure the lockers didn’t smell like a locker room. 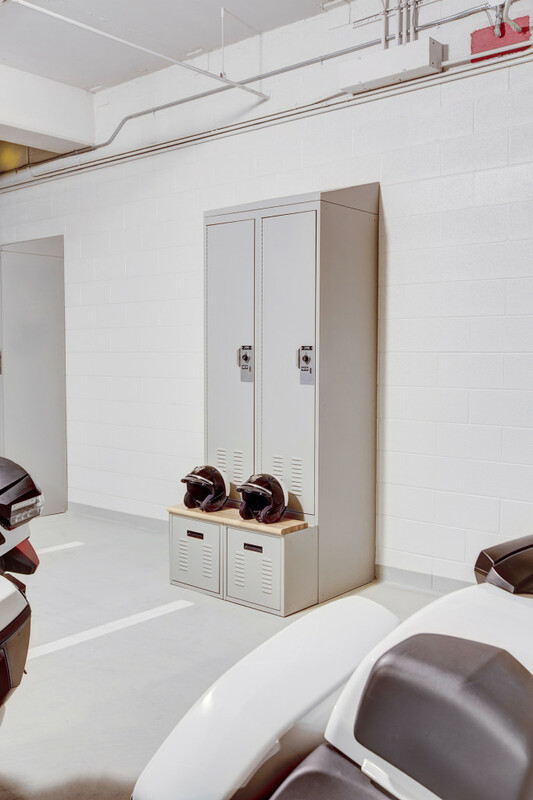 In addition to the Fitness Center, lockers were also instrumental to Salt Lake City’s Motorcycle Unit, where having storage space in the garage eliminated the extra time needed to go into the building and collect their gear. When officers and public safety personnel must move quickly, the last thing they need is to be held up by having to run and get gear. Gear lockers and duty bag storage is a heavy-duty storage solution for bulky bags, boots, electronics, and tactical vests. With perforated doors for ventilation and added visibility, officers can ensure their gear is ready and right where they needed. Salt Lake City’s officers appreciate their gear bag storage, which is located conveniently next to the patrol car garage. 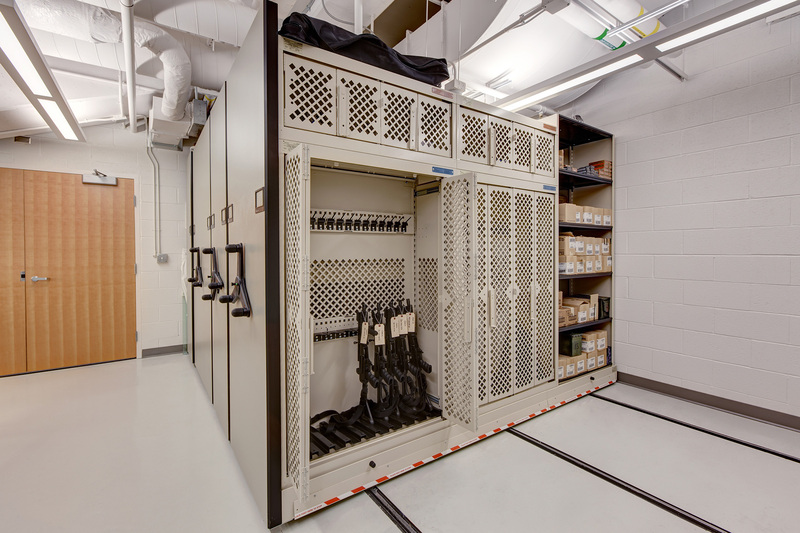 Many departments within Salt Lake City’s Public Safety Building were in need of compacted storage housed in one location—one example being their Quartermaster and Armory facilities. 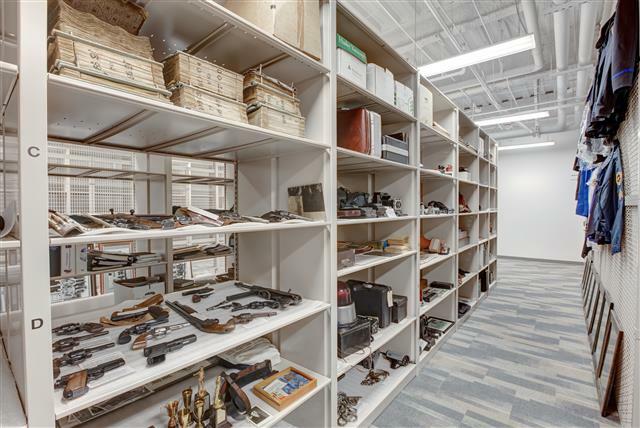 “We needed to store our most sensitive equipment—bulletproof vests, weapons, gas masks—in the correct way,” says Martin Cauffman, Salt Lake City Quartermaster. When it comes to police department storage, there’s still a large amount of paper reports, files, and records to deal with—and try to figure out a place for. Salt Lake City utilized a high-density mobile system to keep compact their current inventory of records and make sure they had space for future growth. These systems can be outfitted with an audit control system to secure a department’s most high-security records. 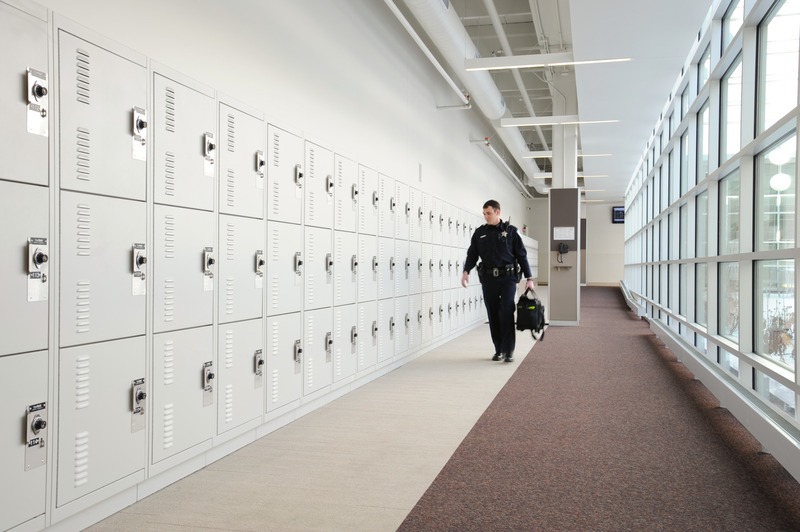 Spacesaver Intermountain, along with our Spacesaver partners, is no stranger to helping departments save space—and we’ve assisted with the implementation of thousands of public safety, police, and government storage systems. Take a look at the photo gallery below for a sampling of our public safety projects—and if you’d like to take the next step in seeing how a new look at storage can benefit your facility, contact us for a complimentary space assessment.